Cerritos Beach is a place where you can find world class waves. The ocean offers waves for all kinds of sufers. It does'nt matter if you're a beginner or an expert, Cerritos Beach surfing is for you! If you would like to take surfing lessons please contact us to reserve your spot. Cerritos Beach is surrounded by amazing places to take a walk. If you have already walked the beach, we recommend walking north from our hotel where you can find hidden beaches, wave-crashing cliffs, and the best spot to watch the sunset. 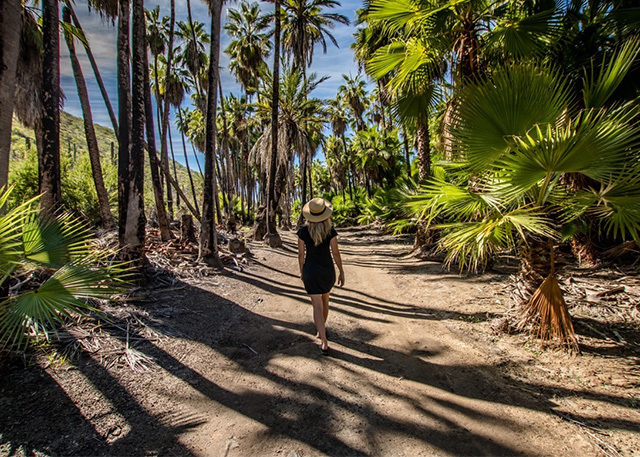 Las Palmas Beach is just a 20 minute away drive where you will need to go through dirt roads to get to this amazing beach. It is surrounded by palm trees and you will find nothing but a long beach and great waves! Be careful though, the current may get rough. You can get to Las Palmas Beach following this directions. 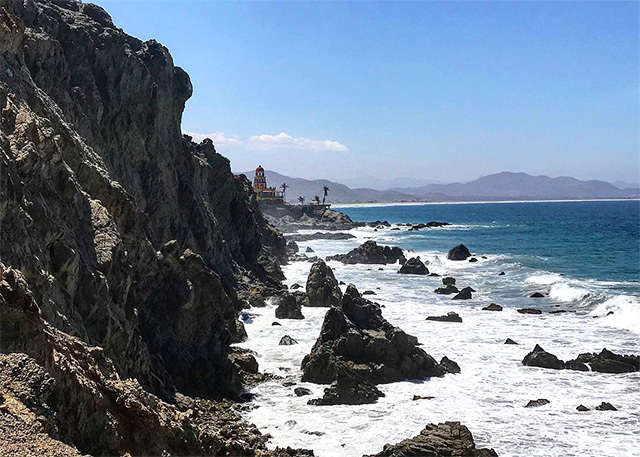 Todos Santos has long-been special. The Church, Threater, Cultural Center, Museum and so many historic buildings are often open to the public. This town is well-known for its artistic vibe which attracts a lot of artists from all around the world. There is a popular Art Festival held annually. 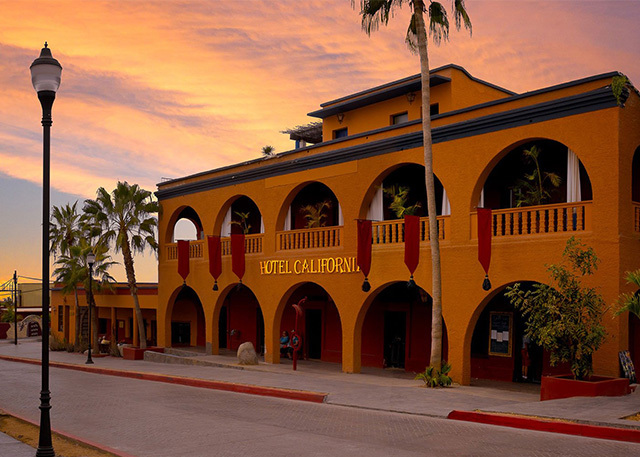 Another interesting thing you can find here is the famous Hotel California, which rose in popularity due to The Eagles song. 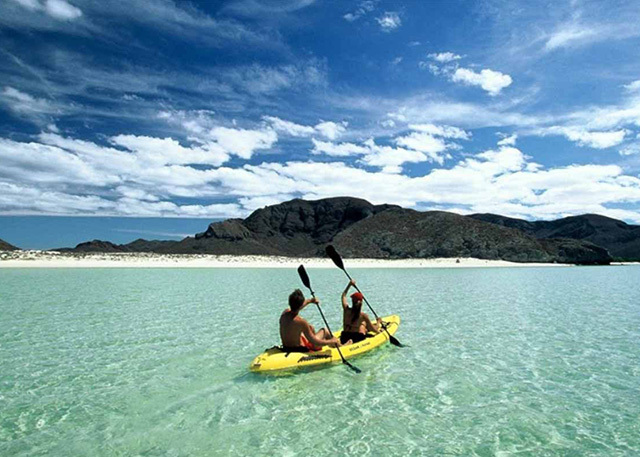 If you would like more information about Todos Santos click here. You can get to Todos Santos following this directions. Balandra beach is famous for its mushroom-shaped rock formation, which has become one of the symbols of the city of La Paz and the peninsula of Baja California.This coastal wetland is surrounded by a system of mangroves, dunes, cantus and areas with archaeological remains of prehistoric times where the waters of the Sea of Cortes seem to be painted as watercolor with wonderful blue tones. You can get to Balandra Beach following this directions.